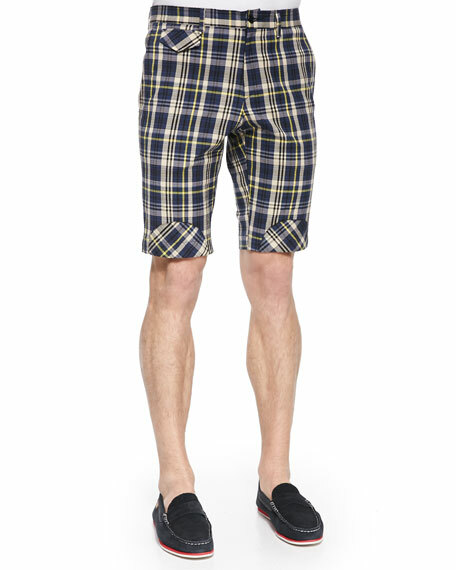 Slim-fit Band of Outsiders plaid shorts. 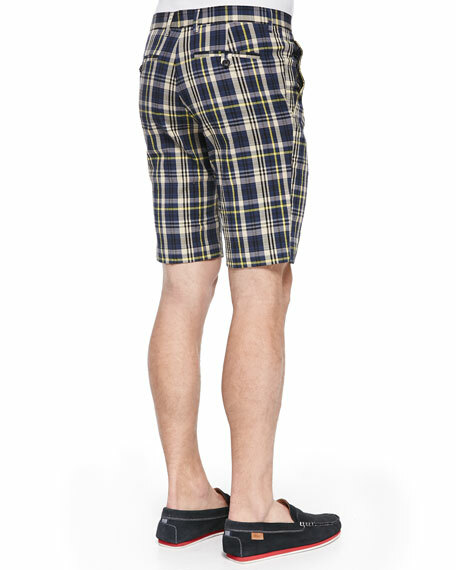 Side slash pockets; flap coin pocket. Scott Sternberg founded Los Angeles-based Band of Outsiders with a collection of classic men's shirts and ties with a modern twist. The brand's womenswear line mines a similar sense of nostalgia for American sportswear, producing menswear-inspired pieces with sophisticated idiosyncrasy. 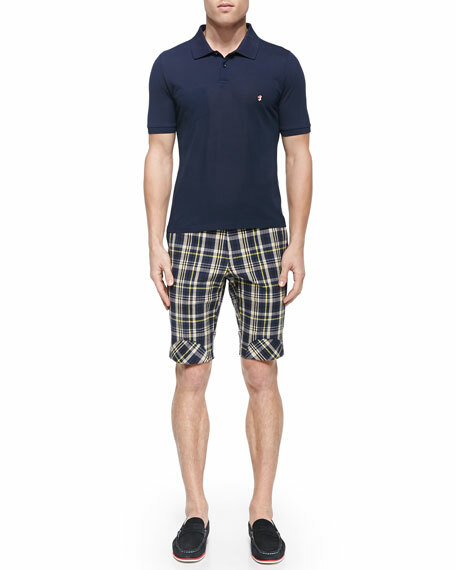 Today, the label is known for balancing classic design with a drive for innovation and quality. Signature pieces include shrunken blazers, crisp button-up shirts, and impeccably tailored dresses and trousers. For in-store inquiries, use sku #244317.